Today, as I sit here trying to plan out the thanksgiving feast for my family I can not help to be saddened by the true irony of this holiday, especially in lieu of what is currently going on in our nation. 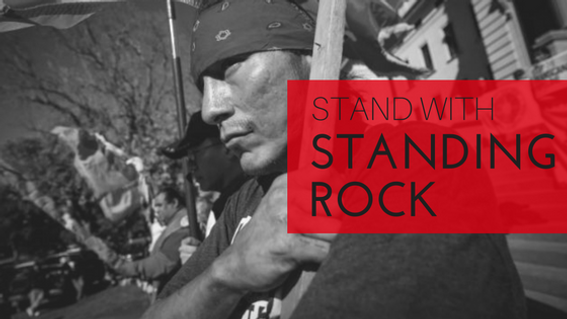 Instead, this Thanksgiving, I want to show you how to stand with our brothers and sisters at Standing Rock and how to truly make a difference. Thanksgiving has been imperialized by giant corporations and big business’s who make money off of steam rolling native culture and people. Turkey day has become one of the most sadly ironic days of the year as we blindly chose to make recipes that actively contribute to the degradation of our land, the true native people of this country, and participate on a glutenous level to the destruction of our planet. Oh wait … is that ironic or is it really just a way for us to re-enact every year what “thanksgiving” actually did? Thanksgiving is actually a holiday that was created by indigenous cultures. Thanksgiving is really a celebration that was taking place long before the pilgrims came to America. It was a celebration of harvest, a way to give thanks to nature for its bounty, a way to give thanks for FOOD. But today, when we walk into a grocery store and chose to purchase canned pumpkin, canned green beans, factory farmed turkey and ham … what we are really doing is giving thanks to big oil, big pharma, big business and massive corporations. And those dollars are a vote for the Dakota Pipeline. So this thanksgiving why don’t you take a stand. 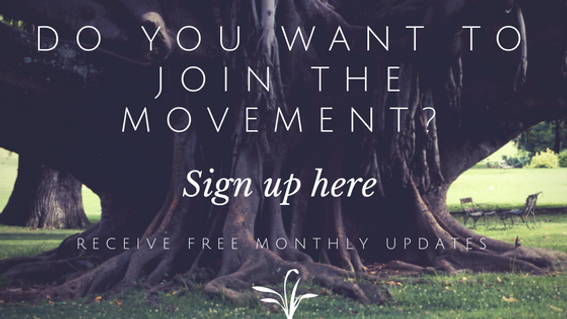 Take control of your plate, your body, your community and your planet, and do it deliciously! I am sick of not making a difference, and I tell you what, food is the resource to make the BIGGEST impact of all!!! Chose Native food – and by native I mean local. This is so simple, yet so respectful and impactful! Native Americans, and even pilgrims would not have shipped food all over this continent using oil (a finite resource) to transport turkeys and potatoes wrapped in plastic (oil). So you can boycott Trump at the thanksgiving table without even making an awkward family situation … just buy local. And the true joy of this is that when Granddad starts talking about how much he loves Trumps policies, you can quietly think in your head you have won, because your actions (and locally sourced food) greatly out weigh his old school slightly misogynistic ramblings. And secretly winning is oh SO satisfying! Yes, some native americans ate turkey … but the majority of them ate things like deer, duck, goose, rabbit, chicken and even swan. Now if I am totally honest with you I have never eaten swan, or rabbit and I don’t have a good recipe for either … but if you want to be truly adventurous like that, go on google. Venison is one of the most sustainable meats that there is, or bison. Bison actually do some amazing things with their horns, they aerate the land. No one truly knows why they do it but if we all demanded more bison on our table we would have an animal source of protein that actually helps the environment rather than hurts it. And if you want turkey, then go for it. Just try to buy one that was raised in your area and give thanks to it for its life when you eat it. Why do you think all religions say to be thankful for your food … because food is medicine and gratitude is the most powerful medicine there is! A recipe is truly just a lesson, and I think at this point we could all do with a little lesson from native cultures. Native cultures knew the importance of the land, of our families, of community time. They knew how to harvest wild food, how to work with the land and how to survive in Pre Grocery Store times. What did Native Americans really eat on Thanksgiving? And if they did have turkey (which sometimes they did) they would just stuff it with one oyster. Because oysters in the time of Native Americans, were the size of large dinner plates! Yep … Native americans ate popcorn, just not like we do it today. So here is a delicious Dakota Pipeline Protesting, Donald Trump Slap in the face meal line up for you, your family and your loved ones this thanksgiving. Remember, this meal has the power to impact the masses and impact generations. Bone broth is steeped in centuries of tradition, all indigenous cultures understood the healing and medicinal purpose of bone broth. Not to mention how easy it is to make for a large amount of people, and in the grand scheme of things it is really sustainable because it pays respect to every part of the animal. You can use any type of bones to create bone broth and many grocery stores are now starting to sell them (although they should probably be giving them away). And its really simple. All you have to do is simmer the bones with a dash of vinegar (preferably pasture raised or wild caught), 10-20 hours for poultry or seafood, or 24-28 hours for beef bones. I personally just do it in a crock pot. 1) melt butter into a 8 quart stock pot over medium heat and add the onions. Cook roughly 7-8 minutes stirring often so that they do not brown. You want them translucent. Serve the soup into ramekins or oven proof bowls and sprinkle with a thin slicked layer of cheese. 3) Place in the oven under the broiler for roughly 1-2 minutes until the cheese is melted. The three main crops that Native Americans grew were corn, beans and squash – These crops were often referred to as the “Three Sisters” because they grew very well together and actually helped each other out. The beans would naturally climb the cornstalks and the squash would spread out below creeping along the ground and stop weeds from growing. The squash would also help to keep the moisture in the soil by shading it, which resulted in a perfect trifecta of growing. And these plants grow together for a reason, When eaten together they provide almost all of the nutrients that your body requires in one meal. Scallops are one of the healthiest Mollusks to eat, and they are also incredibly easy to make. Most people tend to over think and over cook them, but really just keep it simple. They are delicious as is! ** If you catch your own scallops or buy them in the shells you only need to remove the the dark side of the shell, do this with the hinge facing toward you. When you have removed the top shell take a spoon and scrape the shell from the hinge back to remove the dark inner part, rinse the scallop. Olive Oil, Salt and Pepper are cheating and they work on everything. Roasted veggies are the EASIEST no fuss way to make sure you are getting some health goodies on your plate. Don’t make it hard on yourself, take all of these veggies, chop them up, drizzle with olive oil, salt and pepper and perhaps a dash of balsamic or some fresh herbs and roast at 350 for 15-20 minuets, stirring once. You can also add all of these veggies around your bird, if you are cooking turkey, and you have a one dish wonder! Yep Native Americans had popcorn. You can either serve it as a dessert (drizzle it with dark chocolate and put it in the fridge for some extra yummy ness), or serve it as an appetizer. And don’t forget the most important ingredient of all this Thanksgiving, Love. These are scary times in so many ways so make sure you share with your family with love … and try to avoid talking about politics at the dinner table.